I was introduced to this book by a show on This American Life (not sure if it was that show or this one) & a friend recommended it as well. Psychopaths tend to lack empathy & remorse, and are very good at hiding madness through a facade of normalcy. a bit under 1% of the population are psychopaths. about 25% of prison population is psychopaths & they account for about 60% to 70% of violent crimes in jail (much of our falling “violent crime rate” in the United States is driven by more of it happening behind bars, where it is ignored). about 3.9% of 203 corporate professionals in a study scored at least a 30 on the PCL-R.
Emmanuel Constant (also known as Toto) founded a Hatian death squad named FRAPH stated that it was important that people liked him so that they were easier to manipulate. when psychopaths see grotesque images they are absorbed rather than horrified. on a countdown from 10 to 1 with a shock at 1 most non-psychopaths get scared as the numbers get lower, whereas psychopaths have little to no reaction in anticipation of the pain. their amygdala didn’t send a warning response. even after going through the pain when they do the cycle over again they still don’t anticipate the pain & so parole threats are meaningless to them. they have short memories. Albert Dunlap drove Sunbeam stock from $12.50 in 1996 to $51 in 1998 by slashing jobs & shutting down plants. the stock increased in price in spite of the fact that margins did not improve (even before accounting for restructuring costs). companies like goldman sachs cheered the move in their research, but the company was driven into bankruptcy in 2001. Elliott Barker attempted being overly open with psychopaths & even using drug-based naked discovery counseling, but it only led to a greater % of the released psychopaths to commit further crime (an increase from 60% to 80%) as they better learned how to fake empathy. 1973 David Rosenhan conducted an experiment. He sent 8 people to 8 different hospitals, with each complaining that they heard an empty hollow thud & from then on acted normal. 7 were diagnosed schizophrenia & 1 manic depression. It took an average of 19 days to get out & some took a couple months to get out. Each was given powerful psychotropic drugs. They first had to admit they were insane before they could admit they were better. A mental hospital challenged him to send more fakes & they reported catching 41 when he sent none. The criminal psychologist Paul Britton was built up and then ultimately knocked down when Colin Stagg was entrapped by under cover police who sent him sexually suggestive messages to try to get him to confess & suggested that he killed Rachel Nickell, when it was in fact Robert Napper who did it. Robert Spitzer had a psychotic mom who lived a unhappy life. he edited the Diagnostic and Statistical Manual of Mental Disorders (DSM-III) & aimed to remove human judgement from the analysis process by creating concrete checklists. many disorders got their official names from this work. many people began using the book for self-diagnosis, which created significant demand for professional psychiatry and drugs to treat these new disorders. shady pharma salesmen had a boon. “Psychiatric diagnoses are getting closer and closer to the boundary of normal. … There’s a societal push for conformity.” With that, having a label gives a person a sense of hope & commonality, something to connect with others. The NYT published a document where Dr. Joseph Biederman promised to try to “move forward with the commercial goals of J&J,” which was then promoting the antipsychotic drug Risperdal. His unit received funding from Johnson & Johnson. Bob Hare mentioned that when a drug for psychopathy is approved pharma companies might get the threshold to go down from 30 to 25 or 20. 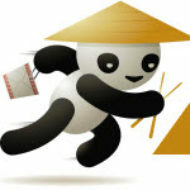 If a person is a bit crazy they are a marketable commodity. If they are too crazy they no longer are. David Shayler believe in 7/7, 9-11 without planes (holograms), and that he later became Jesus. He went from well covered to seen as being toxic for being too crazy. For a reality TV show producer, a shortcut for seeing who to have on is what sort of medications they were on. Lithium & such would be too crazy, but something like Prozac was a good cue. If a person was not on any drugs they probably were not mad enough to make for great white trash reality TV. On one Extreme Makeover reality TV show they coached family members of an unattractive girl to state how ugly she was (& she heard what they said), but they canceled the show before going live with procedure. The girl’s bipolar sister, Kellie McGee, felt so bad about it committed suicide, leading to an eventual lawsuit. Not mentioned in the book, but Chris Hedges gave a great speech about plastic culture’s destructive impact on society (& how the spectacle of Michael Jackson’s life and death is a representation of the sickness in society, with over 12 million Americans getting plastic surgery each year). Bob Hare is afraid the checklist is sometimes misused by the US prison system. Some people might go in using poor analysis, which in turn makes it much harder to be seen as sane. In 2007 the LA Times reported that 1/3 of Coalinga State Hospital inmates would serve no risk to society if released. 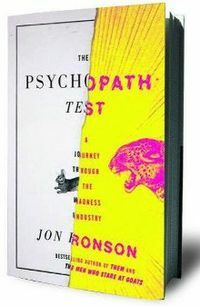 Bob Hare met Jon Ronson numerous times while he was writing The Psychopath Test, but thought the treatment of psychopathy in the book unfortunately trivialized it.